Doing it Differently: Zendala Dare - The Big 50! It is time for another Zendala Dare, this one is Number 50! Well it’s only Tuesday and already it’s been a week of ups and downs. On the up side My cold is completely gone, and my eye is at about 80% and getting better, this makes me very happy. Down side, I have now been wheat free for a few weeks, I decided that I could risk it and have a little wheat last night, and man ….Never again. Now that I have been free of it, eating it is 10 time worse than before. Another down, it that my original Zentangle kit that I carry everywhere, is pretty much dead. It did go everywhere with me and took quite a beating, but it finally gave up the ghost. The up side of this is that I needed a new kit and found a wonderful plastic case that I can keep many of my pens/pencils in. Photo below. There have been other ups and down, but I will not bore you with all of them. My New Zentangle kit, that goes everywhere with me. Wau! Your zendala is like a comet! Amaising lines and speed. This zendala is soooo different; I love it. Very cool zendala! It reminded me of a comet also. 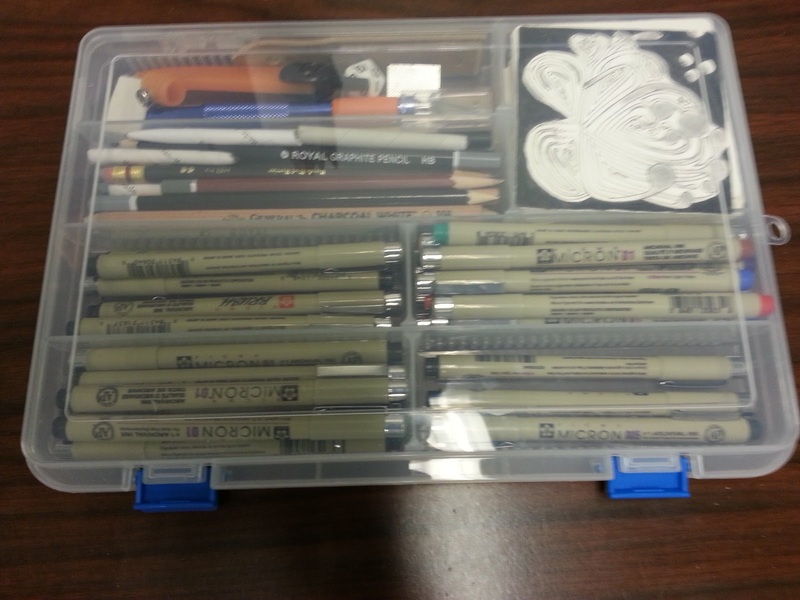 My zentangle kit is much smaller and simpler so it fits right in my purse--a pen, pencil, smudger, and a few tiles. I wish you would list the tangles that you use under your drawings, Roy. It is so helpful to know which ones the artist is using. I normally do, and I'll post a guide here soon. Sorry I fogot to add that to this one. Love that you've put your zendala on a tangled background net. The center is wonderful - looks like a complex gazing ball! 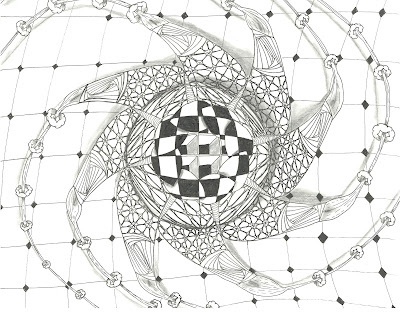 enjoy your new zentangle kit! 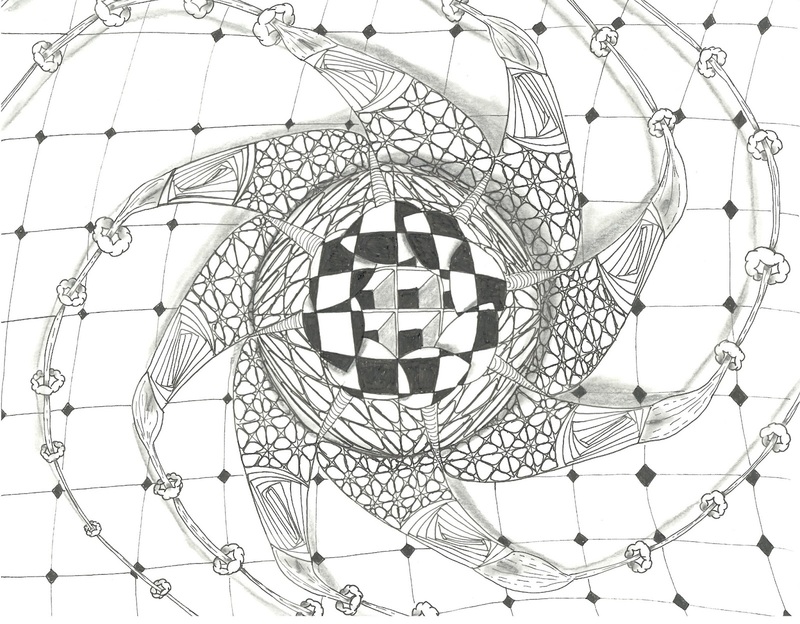 I like the Zentangle kit.